Keeping up with evolving cyber threats is a struggle, but it is possible to improve operations and data management, while also maintaining strong cybersecurity programs. This post will review cybersecurity best practices within the joint use community. The suggestions in #1 and #2 may seem like a bit of tall order. Our idea is to use a platform (that includes all joint use process capabilities) that already has these standards in place. Platform technology provides a unified view of field assets, delivers the right data to each user in the context of his or her job, and can securely share specific, user-defined data with attachers, third-party contractors, and other key stakeholders. It keeps confidential data secure while streamlining necessary communications and coordination. 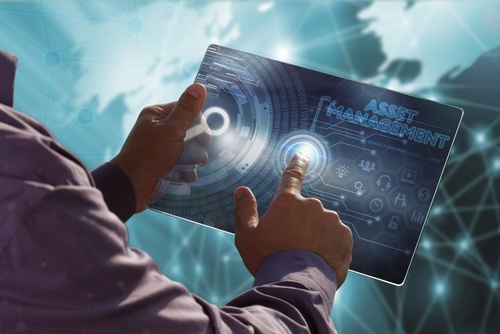 An asset management platform replaces multiple systems that may be insecure. The more systems in use, the greater the threat (especially when multiple systems are interconnected for daily operations). The more we can replace paper or email communications, which can be easily overlooked or overwhelming, platforms should be able to interface with other critical business applications such as GIS, work management systems (WMS), accounting, and tax systems. Joint use owners, attachers/renters, and other players can securely store and manage comprehensive joint use asset data. Platforms should be hosted in high-security datacenters. Physical access should only be granted through multi-factor authentications, which may include biometrics. Multiple ISP’s in a high-security data center should ensure servers always stay connected. Platforms must be protected by ICSA-certified gateway antivirus and anti-spyware. Network-based anti-malware with a cloud database of millions of malware signatures have deep security protection against advanced modern threats. Protection against worms, Trojans, software vulnerabilities, and other intrusions should always be enforced by scanning network traffic for malicious patterns. Platforms should have extra protection layers, like Capture Advanced Threat Protection to aid against unknown threats, such as zero-day attacks and ransomware. In response to the constantly changing landscape of cyber threats, it is also critical to maintain continuous reviews of new attack measures, employ daily code reviews, and perform regular penetration testing. When any technology contains data that is tied into a utility’s enterprise systems, there is concern for security, and there is potential for cyber hackers to gain access. Security best practices should be applied to all layers in a technology stack. The rapid growth of the Internet of Things means business and consumers are benefiting from greater efficiency, improved productivity, and access to data previously held in silos. The number of devices, technologies, and systems that connect to each other, the Internet, and the grid is increasing exponentially. Yet, as the IoT grows so does the number of threats. Comprehensive, advanced security measures must be in place for any data-sharing system. Power, telecommunications, CATV, and broadband companies must work together to ensure the highest levels of security are in place. Technology that enables secure communication among joint use partners will help advance this goal. We work better when we work together. Cybersecurity Series: What’s Happening in the CATV and Broadband Industries? Learn more about one joint use platform that ensures data security and streamlines joint use asset management.